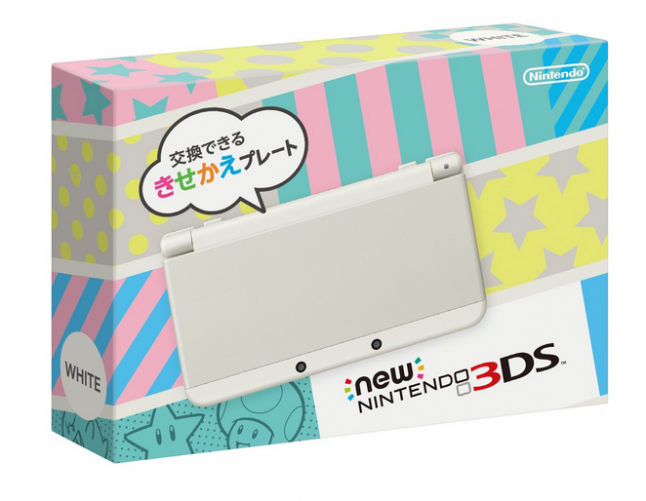 During the Japan-only Nintendo Direct back in August, the new Nintendo 3DS was revealed for Japan markets. The new Nintendo 3DS releases October 11th in Japan, but Nintendo of America has not announced the console nor it's release date yet. It was said by Nintendo of America it would not come out this year. Nintendo of Australia has recently shown off the new Nintendo 3DS and new Nintendo 3DS XL in their first ever Australia Nintendo Direct. For Australian and New Zealand readers, the new Nintendo 3DS and new Nintendo 3DS will come out on November 21st, a day before Pokemon Omega Ruby, Pokemon Alpha Sapphire, and the presumed day of Super Smash Bros. for Wii U's launch. 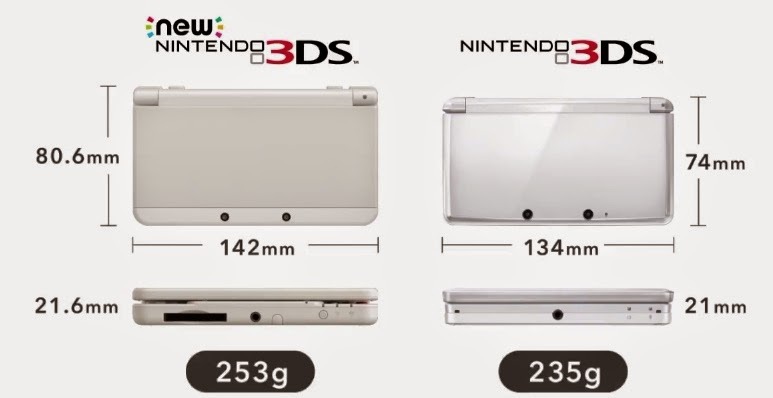 The new systems will be pricey- AU$219.95 for the new Nintendo 3DS and AU$249.95 for the new Nintendo 3DS XL. The new Nintendo 3DS will have it's own exclusive library of games that will not work with older models hardware, for example, Xenoblade Chronicles, originally made for the Wii, is being ported to the new Nintendo 3DS. 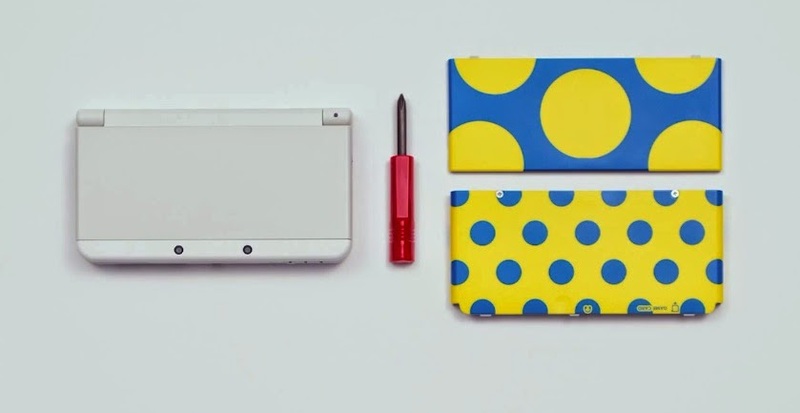 The models will have their own set of accessories- such as charging stations- and will come with interchangeable covers, such as the ones shown above and to the left, and each of the patterns shown off so far have a customized home screen counterpart. The speed on the new Nintendo 3DS has greatly increased, with faster downloads, web browsing, and the new feature to watch video files. The camera has greatly improved, so now you can take better pictures under dim lighting conditions. 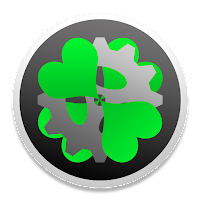 You can transfer data through wireless LAN directly up to your PC. The new Nintendo 3DS' has automatic brightness adjustment, brightness is dependant on your surroundings, therefore improves your battery life. You can play all of your old Nintendo 3DS games on your new Nintendo 3DS console. 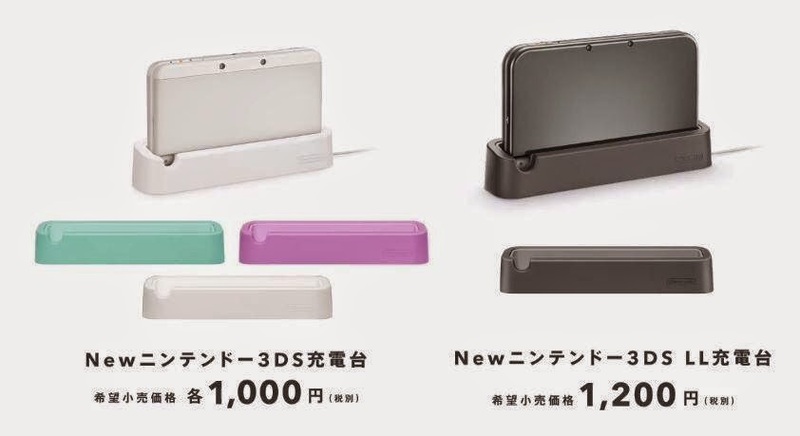 The new Nintendo 3DS will retail for 16,000 Yen (around £93 in UK, around $153.75 US) while the new Nintendo 3DS XL will cost 18,800 Yen (around £109 in UK, around $172.95 US). 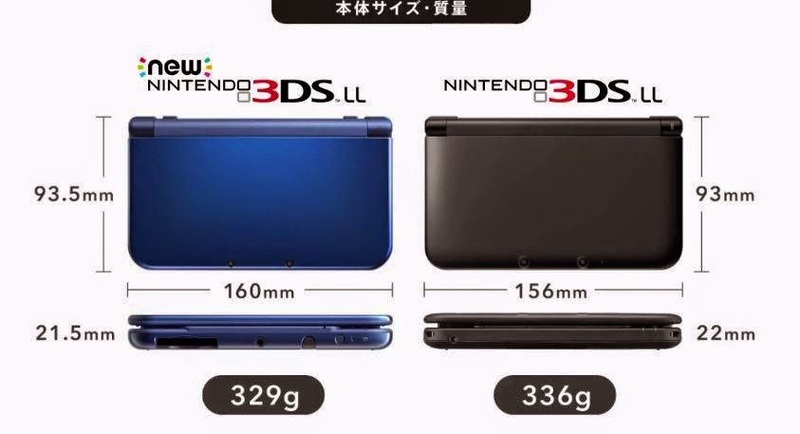 The picture below shows the differences between the New Nintendo 3DS and the New Nintendo 3DS XL. 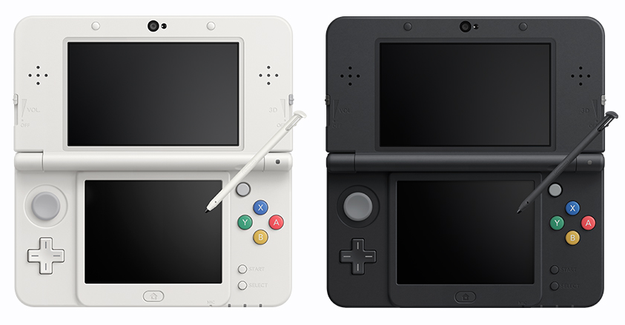 The new Nintendo 3DS is a little bit bigger than the older 3DS, in length and height. The MicroSD Card goes on the back of the New Nintendo 3DS. 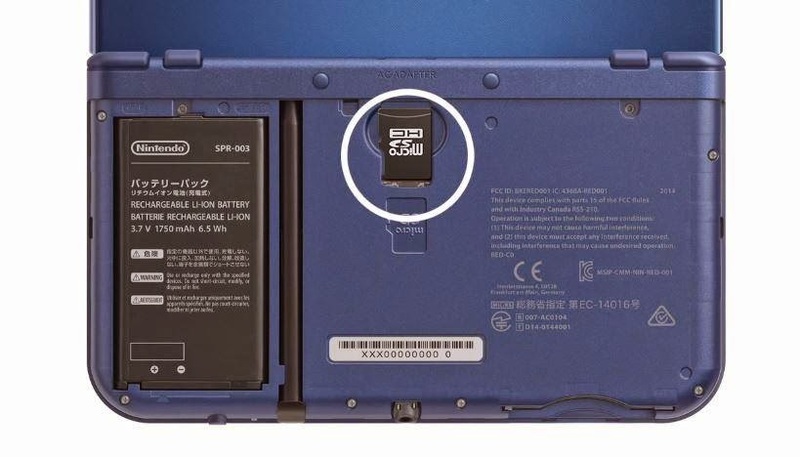 You'll be able to remove the back to put the MicroSD card inside the New Nintendo 3DS system, and you can also replace the batteries if a charger isn't nearby. 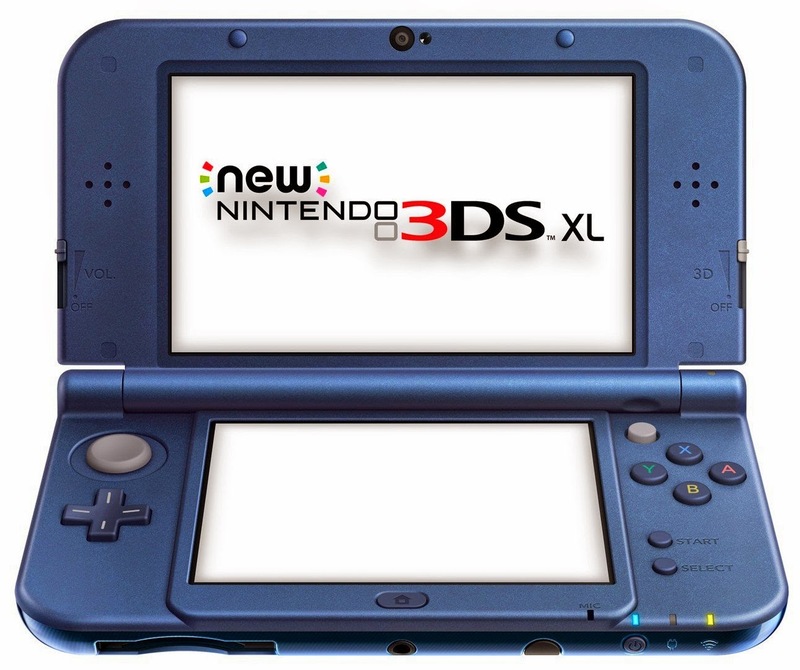 Nintendo announced two new bundles coming to the new Nintendo 3DS XL. 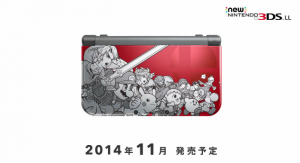 One of which is Super Smash Bros. 3DS coming this November for Japan, and another bundle pack for Monster Hunter 4 Ultimate. 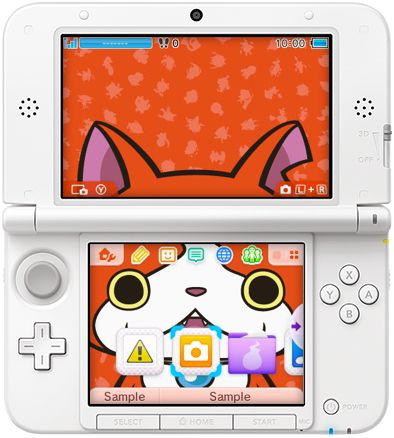 It seems unlike the new Nintendo 3DS, the new Nintendo 3DS XL will have special designs that are not replaceable or swappable. 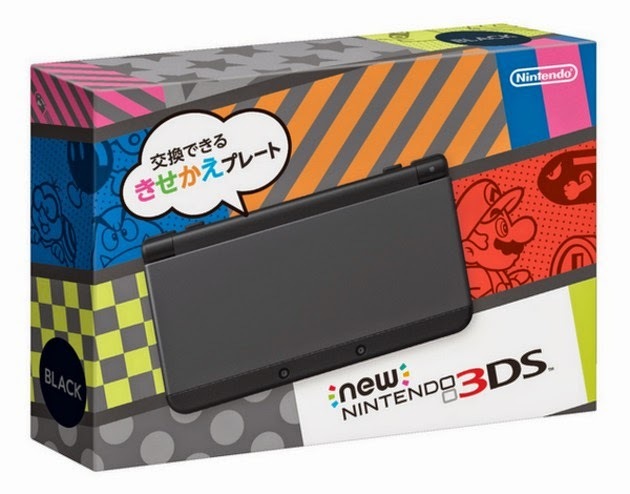 The new Nintendo 3DS and the new Nintendo 3DS XL has been confirmed to be region-locked, and we got a new look at the box art for the standard new Nintendo 3DS in Japan. 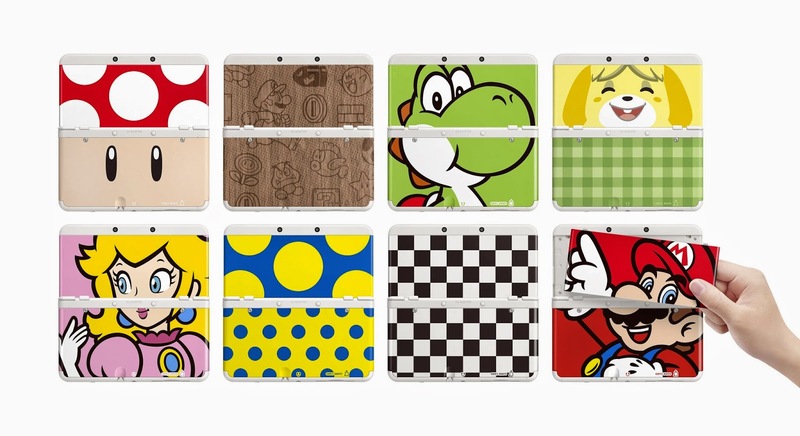 It looks colorful, and it seems like the new Nintendo 3DS is a console you can create to your liking to make it yours. What do you think of this brand new console Nintendo showed off? 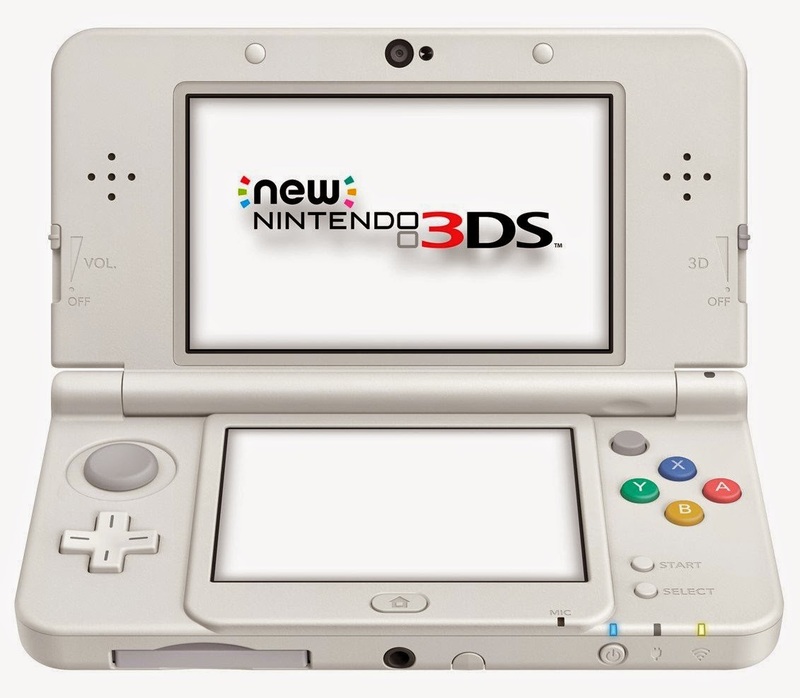 Will you be buying the new Nintendo 3DS? Leave a comment below. 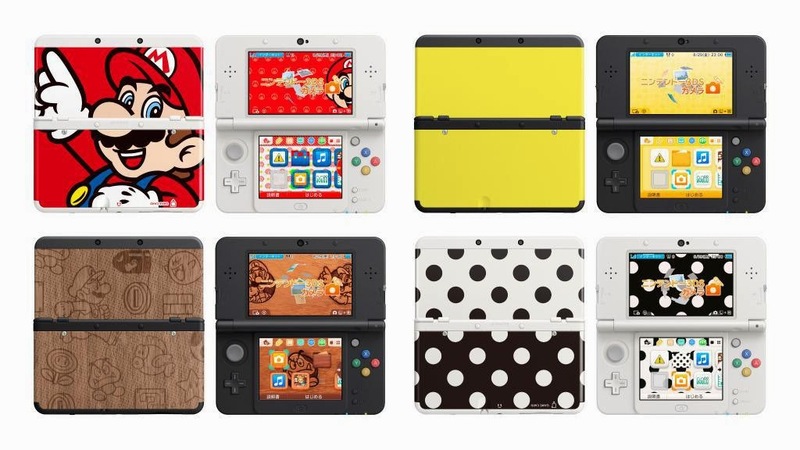 Planning on buying a new Nintendo 3DS or another system in the Nintendo 3DS family? Check out some of the hottest games this holiday season. 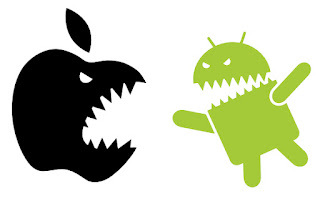 Click on either game to learn some information about them and other games!